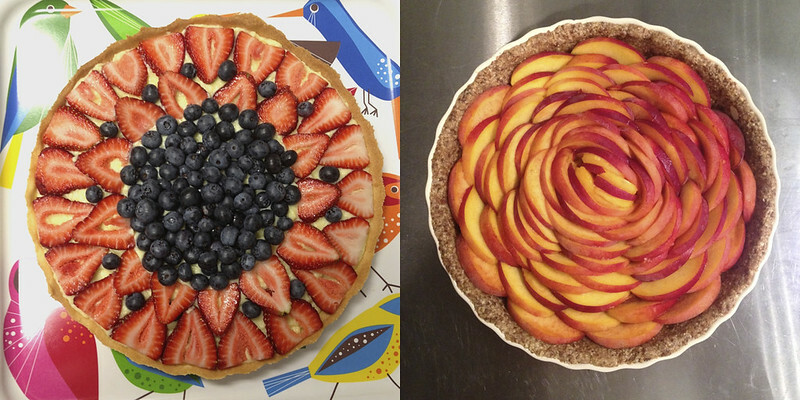 I spent most of last year and the first half of this year learning how to make tarts. Fruit tarts, chocolate tarts, lemon tarts... tarts of all kinds! I grew up eating tarts; for every birthday or holiday we would pretty much always have some sort of tart for dessert. My favorites were always chocolate or lemon, depending on the season. Cake was just not in my family's vocabulary. (Hey, we're French, and we usually ate like it!) My mom had two signature tarts that she would make when I was growing up: a plum tart and an apple flan tart. I hated the plum tart when I was younger, but as I've grown older I've actually grown to appreciate its intense flavor. The apple flan tart was my personal favorite, and in my humble opinion she doesn't make it nearly often enough anymore, although the travel distance has a lot to do with that, I'm sure. (Hi, Mom!) Come to think of it, I really just love flan in general. (What can I say? I appreciate the simple things.) But we're not talking about flan... we're talking about tarts! I made these two tarts at work recently and they really brightened up the pastry case, mixed in amongst espresso brownies, chewy granola bars, and pecan coffee cake, which are all delicious but visually don't necessarily catch your eye. I definitely love making tarts - they're pretty, they taste amazing, and they bring me back to my childhood. 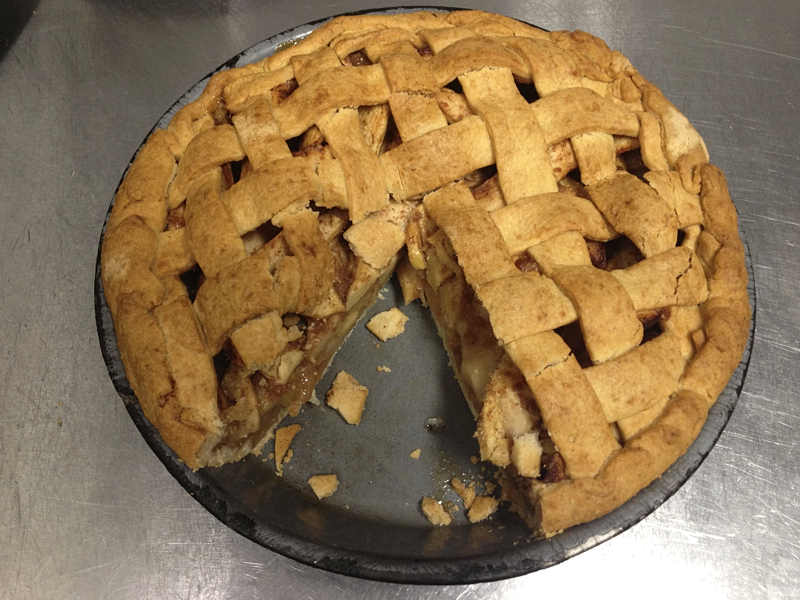 On the other hand, I think most Americans prefer a good ol' fashioned pie. There's nothing wrong with pie, but it's just not my cup of tea. I'd much rather let the fruit stand on its own than mix it with sugar and flour all baked up in a buttery crust. But that's just my opinion, and I'm certainly not unwilling to make things that other people enjoy :) I mean, that's my job, right? It's really true what they say; "Do what you love, love what you do". I really do love what I do!